In the United States, public debates surrounding energy policy focus on generation, carbon emissions, and cost. But all is for naught if the infrastructure that carries power isn’t appropriate for the changing energy mix or can’t keep up because it’s crumbling. With new technologies rising faster than sea level on a hot planet, the United States is in the midst of the biggest energy boom in 60 years. We have more natural gas, coal, and uranium than we need for several hundred years; new and better solar cells; new biofuel technologies to replace ethanol; and even more oil than we thought we had. The source of energy isn’t the problem for our future. It’s how we capture it and move it around the country that is critical. We are headed for a big disappointment if we don’t upgrade our energy infrastructure. The American Society of Civil Engineers recently gave America a D+ for our infrastructure overall. Energy alone got a D+. We have over 3,000 total power outages each year. We accept an outdated 1950s decaying electrical grid that leaks electricity to the ether and is falling apart faster than we are repairing it. Blackouts, brownouts, blown transformers, downed power lines, and other continuous grid problems alone cost Americans $150 billion each year, an amount that will keep growing. The big transformers weigh 400 tons, cost $7 million each, and take two years to replace. They are failing at 10 times the rate as in 1980. Although many Americans say they want new renewables and natural gas, whenever new transmission lines or gas pipelines are proposed to reach those areas, they are voted down. The 115th Congress’s USA Infrastructure Act went nowhere, although Democrat control of the House could change the situation. Opportunities to improve the functioning and reliability of the grid arise from technological developments in sensing, communications, control, and power electronics. These technologies can enhance efficiency and reliability, increase capacity utilization, enable more rapid response to remediate contingencies, and increase flexibility in controlling power flows on transmission lines. But it will take $2 trillion between now and 2040 to keep the lights on for the second half of this century. 1) What are the potential consequences of not making large-scale investments to upgrade energy infrastructure and, instead, fixing things only as they fail? 2) What are the highest priorities in addressing this infrastructure challenge, and what policies should be adopted at the federal or state level to deal with this problem? I agree the United States needs to start planning as soon as possible for an evolution of its critical energy-related infrastructure. In 2009, I wrote a paper “Creating an American Infrastructure Strategy” (see: https://www.ourenergypolicy.org/creating-an-american-infrastructure-investment-strategy/) providing a preliminary analysis of the net economic benefits to the U.S. of building clean energy infrastructure to address the global warming crisis. The economic benefits evaluated were reduced climate change costs on the U.S. economy, reduction of oil imports, and export potential of clean energy products/services. I proposed the federal government should establish an American Infrastructure Investment Corporation, potentially funded partially by carbon taxes, to partner with the private sector (through joint investments and low-interest loans) to build new infrastructure in key sectors such as electric power, transportation (including service station infrastructure to supply electric and alternative-fuel vehicles), and broadband telecommunications. You focus on the need for new electric power infrastructure to replace older transmission systems that are subject to frequent outages. I think the U.S. should develop a strategic plan on the best way to evolve electric power infrastructure nationally. Beyond network reliability, various critical issues must be examined: 1) the planning of renewable energy with storage and nuclear energy to replace existing coal-fired power plants in the near term and reduce natural-gas fired power over time; 2) construction of a new national smart, high-capacity electric power network to most efficiently connect renewable sources of power to meet the country’s electric power requirements; 3) integration of Canadian and Mexican renewable electric power into the U.S. power grid; 4) the role and regulation of distributed solar/wind power and storage in a next-generation electric power system, and 5) the electric power capacity required to supply an electrified transportation system and electrification of residential/commercial/industrial sectors transitioning away from fossil fuels. 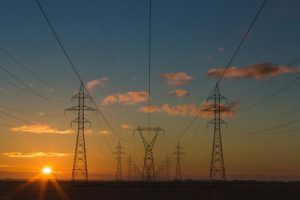 The Electric Power Institute (EPRI) could facilitate a task force that develops such an electric power infrastructure evolution plan for the United States. The strategic plan should evaluate the costs and benefits of this overall evolution, and discuss how it would be funded. Addressing global warming will be a major driver but other benefits will derive from improving long-term network reliability and by creating major new job opportunities for a workforce that enables a sustainable development path for the economy. We need strong political leadership to drive federal, state, and local governments to partner with industry in most effectively creating the next generation of electric power, transportation, and telecommunications infrastructure. Government must establish the public policy benefit for replacing the old infrastructure and then institute regulatory policy that requires this to happen over a specified time frame. Governments must then establish the regulatory environment (including efficient management of rights-of-way issues) that enables the most cost-effective deployment of the infrastructure, and should partner with the private sector in funding the infrastructure build-out. By James Conca Senior Scientist, UFA Ventures, Inc.
A central question in assessing the energy infrastructure big picture is to evaluate how to more effectively use our energy resources. Transportation is an important part of that assessment, but generally does not get the attention it deserves. For example, with natural gas, infrastructure projects focus on adding pipeline capacity, for electricity or heating, without broadly considering alternatives for transportation. One option to consider in transportation for natural gas is converting it to a liquid fuel, such as ethanol, and doing so upstream at or near the well site, thereby negating the need for downstream infrastructure such as pipelines. Converting natural gas to a liquid transportation has been done or investigated elsewhere in the world (China, Israel, Indonesia), although the natural gas is usually converted to methanol. However, domestically it could make more sense to convert it to ethanol given the growing market for ethanol, and perhaps more so, the growing market for high-octane fuels and the shifting quality of crude oil. Doing so in a cost-effective manner could provide a new, large source of demand for natural gas by giving it more access to the transportation fuels market. This could in and of itself incentivize investment in the infrastructure to convert the natural gas. Also, since ethanol is primarily transported by truck and rail, it would negate the need for pipelines or other downstream natural gas infrastructure while being able to take advantage of already existing ethanol infrastructure. Another good point! It certainly is better than petroleum. But still is a fossil fuel. While NG-based fuels have lower levels of air pollution that diesel or gasoline, when it comes to climate change, they have little or no benefit. While CO2 emissions from the vehicle may be somewhat less, the life cycle emissions, including fugitive emissions of methane from the exploration, extraction, transportation, and conversion of NG, result in a climate impact that is comparable or worse than gasoline or diesel. And even if you could show that they have a small benefit, we are beyond the point where small incremental changes can address the climate problem. A move to electrification powered by low-carbon electricity is a better path forward and a more efficient use of resources. By Herschel Specter President, Micro-Utilities, Inc. There are two energy infrastructure problems. The big infrastructure problem is replacing worn out infrastructure and the extremely big infrastructure problem is creating a low carbon future. Let me use NY State and NY City as examples of the first infrastructure problem. According to the NY State Independent Systems Operator, 80% of New York’s high voltage transmission lines went into service before 1980. Nearly 4,700 circuit miles will require replacement within the next 30 years at an estimated cost of $25 billion. In New York City there is a huge infrastructure issue with existing fossil fueled (mainly gas) power plants that should have been retired long ago. Already 26% of the fossil fueled power plants are beyond the 95% age. The 95% age is the number of years of service where 95% of the power plants of the same technology have already been retired. For combustion turbine plants the 95% age is 45 years. For steam turbines, the 95% age is 63 years. The 26% of the capacity that is over-aged now is filled with old and less efficient power plants. By year 2026 the NYC over-age percentage is projected to rise to 41%. This is an infrastructure crisis in the making. To make things worse, NY State plans to close the Indian Point nuclear plants which supply 25% of NYC’s electricity and replace these carbon-free nuclear plants with natural gas. However, even to get these gas plant replacements, now under construction, for Indian Point, they will have to strip them from NYC where they were originally intended to go. As to a low carbon future, around 80% of the GHG comes from the end use sectors of transportation, residential, commercial, industrial, etc. We all have some familiarity with the magnitude of replacing internal combustion engine cars with electric vehicles. What about replacing all the fossil fueled end use devices in just the residential and commercial sectors, like space heaters, hot water heaters, gas dryers, gas ranges, etc.? There are 134 million households in the USA and about 18 million businesses of various sizes for around 150 million locations where fossil fuels are burned . Suppose there are, on average, two end use devices that burn fossil fuels and need to be replaced per location, i.e., about 300 million replacements. Between now and 2050, on average, we would have to replace 9.7 million devices each and every year. Who is doing that and how much would it cost? Most of these fossil fueled devices would have to be replaced by carbon-free electricity and perhaps by some biofuel. It would not surprise me if the amount of carbon-free electricity the USA would have to generate to energize these replacements would be about twice the total electricity output the country now produces, all by 2050. Sure makes the arguments of nuclear versus renewable energy look silly when one may not be able to make this amount of electricity even with nuclear + renewable + conservation working together. I’m afraid you’re right. The last time I talked with the AGA, they are planning on the U.S. becoming 80% natural gas by about 2060. It doesn’t make any difference how much renewables there are, they will be backed up by gas. Utilities out west are being sent back to the drawing boards by their regulators when they present back up gas build requests. The regulators see lithium-ion batteries as competitive with natural-gas peaker plants in the western markets. GTM Research and Wood Mackenzie believe that batteries overtaking peakers may be a common occurrence in the U.S. in as little as four years. According to a new report, by 2022, new natural-gas peakers will regularly compete head to head with energy storage. In ten years, new natural gas peakers may become a rare sight. So no … all renewables will not be backup by gas and 80% gas is a sales pitch by AGA. There is no way batteries will be anywhere near competing with gas as peaking by 2022, or even 2030. We just don’t have the heavy metals needed, and the cost is still very high. It would seem you are overly cautious about storage. In addition to Wood Mackenzie, Bloomberg New Energy Finance, in 2017, predicted the global energy storage market would double no fewer than six times between 2016 and 2030, rising to a total of 125 GW and 305 GWh of installed capacity. Expanding on my earlier comment … Greentech Media Research believes the U.S. energy storage market will grow 14x in dollar value between 2017 and 2023, crossing the $1 billion threshold in 2019, and then will almost double the following year reflecting the massive influx of front-of-the-meter projects scheduled to be deployed by then. In energy terms GTM says the market will approach the 1 GW threshold in 2019, decisively crossing it in 2020, the year California is requiring solar for all new homes, which has upside implications for residential storage. By 2023 behind-the-meter deployments will account for 47% of the annual market. And here is a nice little blip from “treehugger” .. while many are trying to alert everyone to recycling batteries for their heavy metals … Tesla batteries are “sent to a hammer mill that turns them into pulp. They then separate the elements and re-use what can be re-used (cobalt, aluminum, nickel, and copper, etc). … So the battery pack saves thousands of gallons of gasoline/diesel over the life of the vehicle, it is less toxic than the lead-acid batteries that are in regular cars, and at the end of its life it is recycled. Gotta disagree with your emphasis … the new energy economy is not about moving energy around the country. It is about no longer relying on centralized generation and wires to distribute the electricity produced. The most important thing we can do is to change the regulatory environment so that central generation no longer the primary profit motive of at least ½ of our utilities. The new energy economy is about building community and on -site generation. It is about many generator owners serving their own needs and becoming integrated with their local community. The central grid will not go away. It is still needed and does require upgrading but the new infrastructure needs to begin with the software required to network the new variety of local generators. As someone who worked on central mainframe computers, the analogy is of course to the IT industry. Microgrids and minigrids within microgrids are more reliable, more resilient and cheaper too as we move to electrify as much as possible. That sounds great, but what is the rate at which these are going in? Degradation of the existing grid is going faster than installation of mini grads and smart technologies. I agree, the regulatory issues are critical, it’s why regulated energy markets, like the Pacific Northwest, are so much better than unregulated markets like CA or NY. Again, I would quarrel with that statement that regulated markets are better. First, exactly how do you define ‘better’? Are you taking about per capita energy use? Washington state uses about 1/3 more than CA. Oregon does better than Washington but both NY and CA, along with Hawaii are the most energy efficient states on a per capita basis. Maybe you are talking about GHG emission levels or price, both of which would depend a lot on the history and resources of generation. On that point Washington has the advantage of being home to The Grand Coulee Dam, the seventh largest power plant in the world. The state is the top U.S. producer of hydroelectric power which accounts for about two-thirds of Washington’s electricity generation. Eight of the state’s 10 largest power plants are hydroelectric facilities. Not a lot of GHG emissions there per unit of electricity. One reason the Washington’s hydropower can provide lower-cost electricity to the region is that the dams were built more than 60 years ago, and are among the oldest generating facilities in the nation. They are certainly fully paid for. Regarding regulated markets … The Pacific Northwest is also a bit different because the dams were built and are run by the federal government. and the electricity is distributed by the federal Bonneville Power Administration. That really doesn’t compare to monopoly regulation within any of the 20 states that still operate with the old monopoly compact that rewards more sales and more generation with higher profits. Indeed, the history is key, especially the formation of BPA. Yes, cost and emissions are key. Yes, run by the government as a non-profit is best, it’s what the nuclear plant is here and why prices are so low. The installation of wind in WA, mostly on pristine lands, has just displaced hydro with no real carbon benefit, but a lot of money was made on them. The last coal plant in WA is being replaced by two gas turbines. Siting of new generation is not being done with anything in mind but tax credits and state mandates. Most wind should be in tornado alley where the cf is over 40%, most solar in the SW where the cf is over 30%, and nuclear everywhere they can get even a small low-C credit since their cf is over 90%. I guess I fell that unregulated markets emphasize short-term profits and politics over long-term planning, climate, and reliability. I agree in general that we need to modernize our grid, both transmission and distribution lines, and the sensors and controls. To create a more resilient grid, we need to add segmenters and re-closers that can allow sections of the electric grid to separate and operate while other parts of the electric grid experience failure. But the focus cannot be just modernizing a wired grid, just as we evolved are communications grid into both wired and unwired cellular networks that can seamlessly interact. A similar seamless grid, both wired and unwired, is the backbone of the internet. in 2019. The global microgrid market is now in the billions. Following closely is community solar, biomass, and wind, where community-based generation feeds community electricity subscribers for locally-produced electricity. Upgrading electricity infrastructure must include locally-produced electric power systems, which in many cases are more advanced than the existing electric power grid. From 18 – 31% of our grid electricity powers our common infrastructure — or what we call critical infrastructure – cellular towers, pipeline pumps (water, sewage, fuels), data centers, water & sewage treatment plants, hospitals and nursing homes, large intersection signal lights and railroad crossings, airports, and first responder buildings – police, fire, and ambulance services all comprise this sector. Here due to reliability, resiliency, cybersecurity, and terrorism – it makes more economic and security sense to power this infrastructure directly by on-site renewable generation and storage. The fuel supply cannot be interrupted nor can the generation be controlled via the internet. This dispersed electric generation provides the same resiliency as dispersed cellular towers. I have used these various systems after Katrina, Sandy, and international events from tsunamis, earthquakes, typhoons, and floods – they are reliable and economic. Energy planners, security specialists and all levels of government must look at energy services in a new way, and understand that the electric grid will evolve as communications and information grids have evolved. I want to remind many of you that advocates of the cellular and internet networks were ridiculed in the early evolution of these grids. It took a visionary partnership of technical experts., government (at all levels), environment and consumer advocates, and the private sector to drive more agile, reliable grids – and this must happen in the electric sector, sooner and more comprehensively.